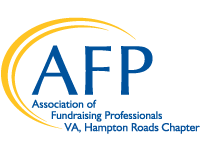 The Hampton Roads chapter of AFP provides a job posting service. Jobs are posted online for four weeks on our website and also included in an email to our mailing list. Click Here to pay prior to posting. Fees must be paid in full before the job is posted. We accept credit card (Visa, Mastercard) or checks for payment.